Ohms. If you vape, you are probably wondering what they are and how they factor into your vaping experience. 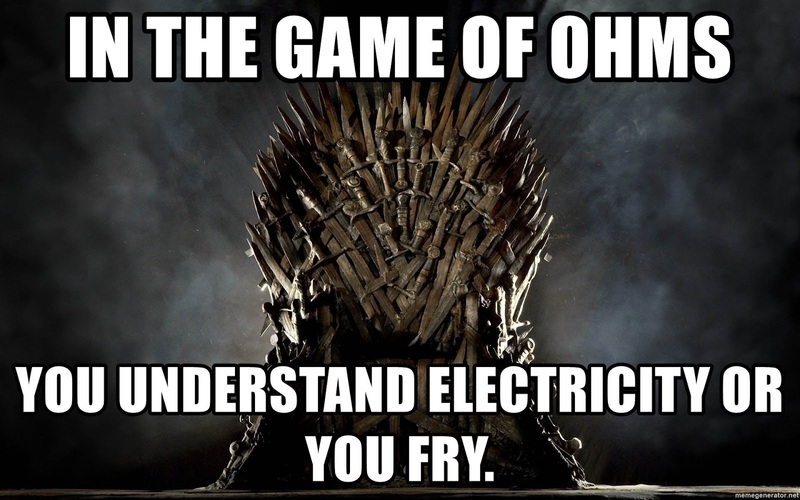 When you play the game of ohms, you win or you fry. Without getting too deep into Ohms law, know that ohms are simply a way of measuring electrical resistance, and understanding how they relate to vaping will help you to make the most of it. Your version of the “perfect ohm” may be very different from someone else’s version, so we'll give you the basics and let you decide. they're between the accepted range for your setup. Understanding ohms and wattage is essential when you get into sub-ohm vaping, which is why most beginners start with standard ohms. The device you choose is just as important as the coils and the e-liquid you select to go with it. Typically, standard coils are not vaped much higher than 1.8. These higher-ohm coils also mean you will create less heat at the coil's level, and in turn, you'll get less vapor and more throat hit. This tends to be a more comparable option when weaning off of traditional cigarettes. Your battery will also tend to drain slower with this type of coil, and it uses less e-liquid. The standard for sub-ohm vaping is around .5, although sub-ohm means anything below 1.0. When you purchase a lower-ohm coil, you can expect it to create more heat at the coil level, and this means you'll get more vapor. You’ll use a bit more e-liquid and drain your battery quicker. There is also a higher possibility of burning (dry hits). Sub-ohm vaping is ideal among experienced vapers who prefer big clouds. It is more important to understand how wattage, voltage, power draw and amps can affect your vaping experience. You also need equipment that is specially designed to handle the added power and allows for variable wattage and voltage. Do Different Ohms Affect Flavor? Which Coil Type Is Right for You? Vaping is a very personal experience, and we encourage you to try the different types of coils until you find the ones that enhance your vaping experience the most. Now that you know the basics of ohms, you can start looking at different coils and customizing your vaping experience to suit you.